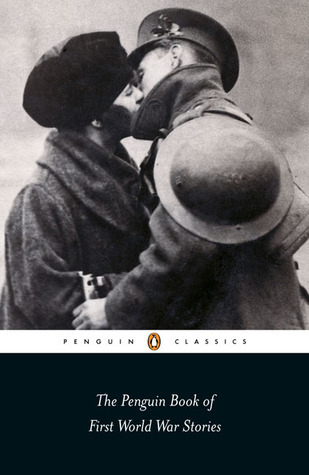 For those of us trying to understand how short stories work, Barbara Korte’s introduction to The Penguin Book of First World War Stories, seems pretty useful to me. …the short story acquired the reputation of a form congenial to the modern condition. Its emphasis on isolated moments and mere fragments of experience, its art of condensation and ambiguous expression seemed ideal for capturing modern life with its hastiness, inconclusiveness, uncertainties and distrust of traditional beliefs. For the same reasons, the short story was deemed to have an affinity to the first fully technological and industrialized war, which exploded extant norms of perception, interpretation and representation. Its aesthetic seemed highly suitable for articulating the experiences of the front with its moments of violence, shock, disorientation and strangeness. The mind of the soldier on active service was continually beginning a new short story, which had almost always to be broken off without conclusion. It’s an anthology well worth a look through, if you’re looking for a reading recommendation. This entry was posted in Classic short story, Short Story, Writing and tagged anthologies, Barbara Korte, creative reading, inspiration, Katherine Mansfield, literature, reading as a writer, Short stories, Theory, well-crafted, Writers, writing by cath. Bookmark the permalink.